AUTUMN IS THE SEASON when Jewish holidays are most plentiful. September had returned with its cool, misty mornings and longer evenings, and I had not left Alsace. I was in Hegenheim, a village on the Swiss border just one league from Basle. 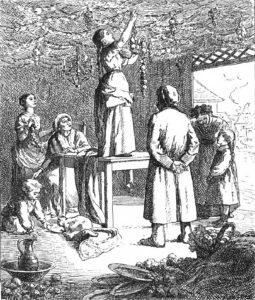 There I would celebrate a holiday that had given me the loveliest memories ever since childhood: Sukkoth, also called the Feast of Tabernacles or of Booths. Hegenheim has had a large Jewish population since time immemorial, made up of cattle merchants, peddlers and clockmakers who all do business in and with Switzerland. A kind and honest clockmaker friend of Papa Salomon’s, little Aron, had offered me his hospitality. I arrived at his home as promised, the day before the holiday. For the ancient Israelites, Sukkoth had both agricultural and historical meaning. Agriculturally, it marked the end of the harvests, the gathering of all the fruit of the trees and the vine. Also, presumably as a symbol of the harvest, the Law required people to bring a bundle of several plants to the Temple on the first day of the holiday. Historically, Sukkoth commemorates the Israelites’ wanderings in the desert, in memory of which they must live in temporary dwellings for seven days each year at this season. Hence Feast of Tabernacles or Booths. 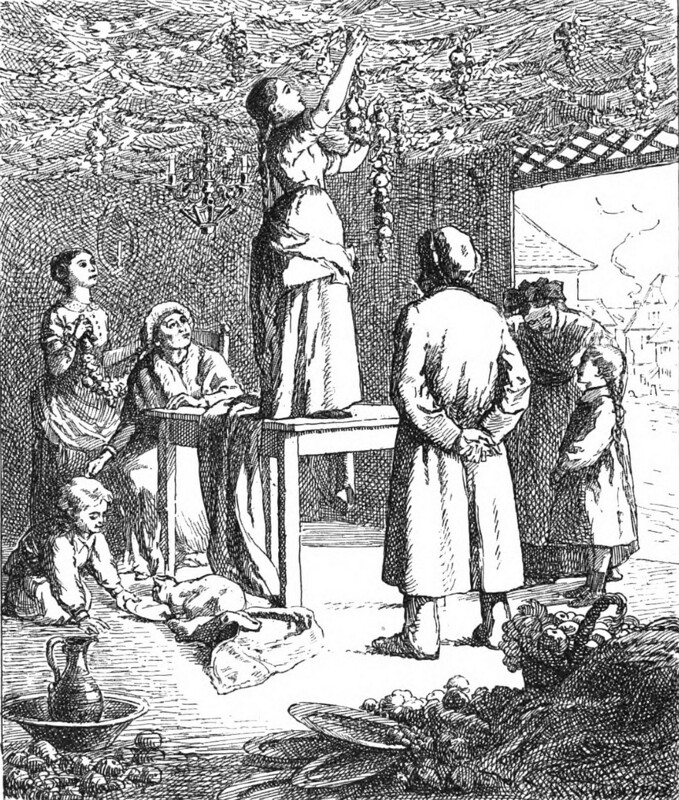 Below is the first chapter of Auguste Widal’s charming 1860 book Scenes of Jewish Life in Alsace, from a newly published English translation. Widal grew up in Yiddish-speaking village communities in 1830s France, and his stories evoke a rural Jewish world that was vanishing quickly. 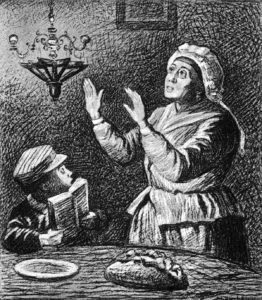 The tales first appeared in the French Jewish magazine Archives Israélites starting in 1849. Under the pen name Daniel Stauben, he later revised and expanded them for a mainstream French magazine and for this book. This new translation restores the Yiddishisms and Jewish wording that Widal deleted when reworking the stories for a general audience. The edition also adds illustrations by Alphonse Lévy, a 19th-century Alsatian Jewish artist whose drawings and etchings mesh perfectly with these tales. IT WAS NOVEMBER OF 1856. An invitation from an old friend brought me back to Alsace, to scenes of village life I had known first as a small boy and which I now witnessed again years later with great emotion. As it happened, this short first trip gave me a chance to observe not only the curious characters who populate rural Jewish society in Alsace, but also some striking religious rituals: Friday’s and Saturday’s Sabbath observances, followed by a wedding and later a funeral. These episodes all happened in the order presented here. Imagination played no part in the many events I shall narrate. The village of Bollwiller, with its large Jewish population, lies a short distance from Mulhouse. Bollwiller is home to Papa Salomon, a handsome old man of seventy whose face exudes wit and warmth. Papa Salomon was to be my host, so I set out from Mulhouse to Bollwiller one Friday afternoon late enough to avoid reaching the village before around four o’clock. Arriving earlier would have disrupted their preparations for Shabbes—the Sabbath. On Fridays, women and girls in Jewish villages do double duty: the Laws of Moses forbid handling fire on the Sabbath, and so besides supper they must also prepare meals for the next day. As I still recalled, Friday mornings and afternoons are hard work, but the evening is one of those rare moments of rest when a Jewish community fully displays its true spirit. For these good folk, when the last rays of the Friday sun fade, so do all the worries, all the sorrows and all the troubles of the week. People say that the Danyes Vage (Wagon of Worries) travels through the hamlets each night, leaving the next day’s allotment of grief on poor humanity’s doorstep. But they also say that this wagon, a painful symbol of country life, halts on Fridays at the edge of each village and will not rattle into motion again until the next evening. Friday is everyone’s night of joy and ease. This is when the unhappy peddlers that you see all week with a staff in their hand and a bundle of merchandise—their whole fortune!—bending their back as they trudge up hills and down valleys, living on water and brown bread… On this evening, without fail, those peddlers will have their barches (white bread), their wine, their beef and fish. In summer, they will lounge in the doorway of their home in shirtsleeves and slippers, and in winter, they will sit behind a nice hot stove in a jacket and a cotton cap. On a Sabbath Eve, yesterday’s deprived peddler would not change places with a king. Mary Antin’s memoir The Promised Land deals with her life as a child and young adult in America after immigrating from Belarus in the 1890s. 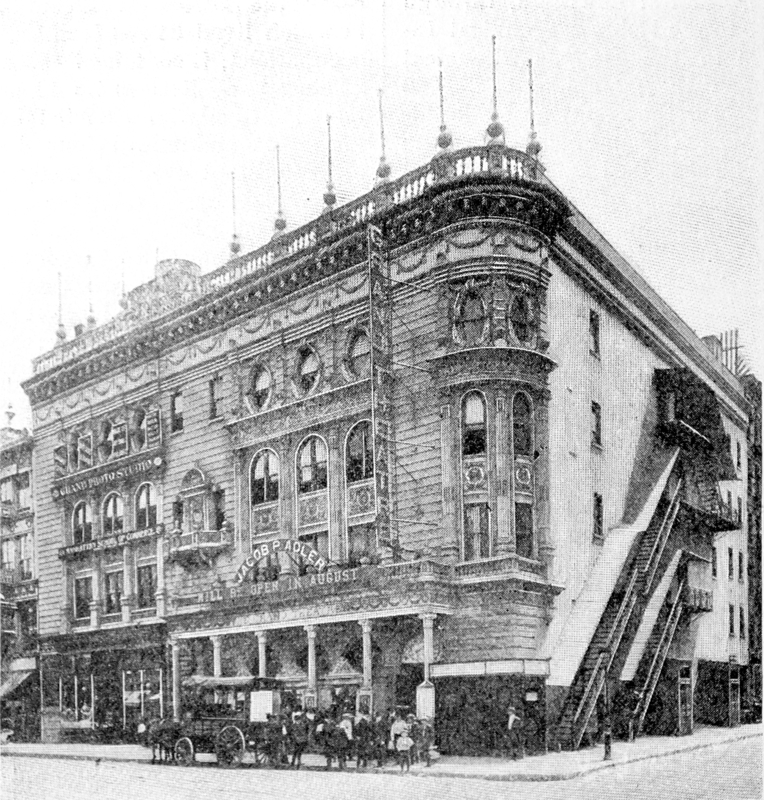 Her father had come to Boston a few years earlier, and was finally able to send for his wife and four children in 1894. He may know all this and yet not guess how Wall Street, in the West End, appears in the eyes of a little immigrant from Polotzk. 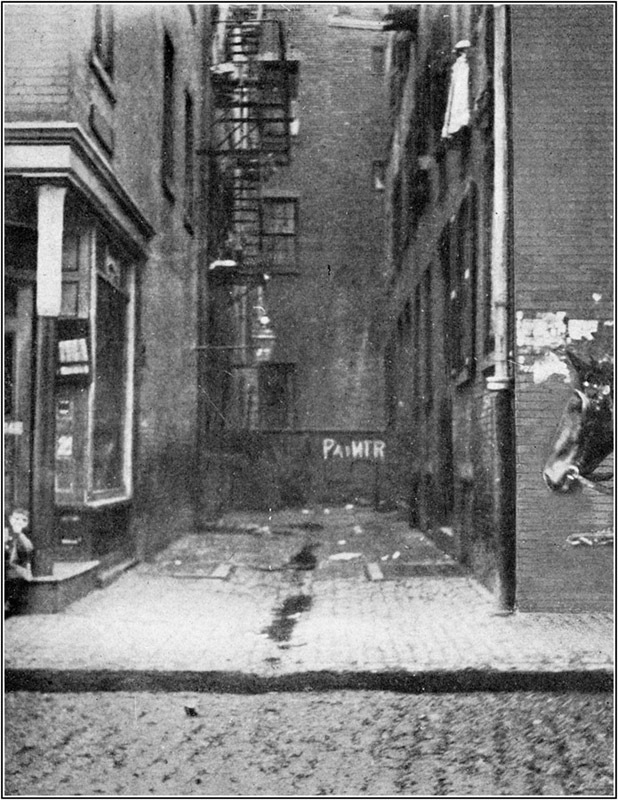 What would the sophisticated sight-seer say about Union Place, off Wall Street, where my new home waited for me? He would say that it is no place at all, but a short box of an alley. 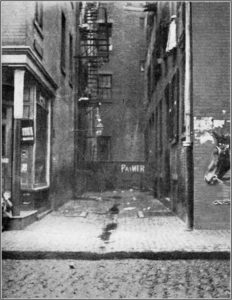 Two rows of three-story tenements are its sides, a stingy strip of sky is its lid, a littered pavement is the floor, and a narrow mouth its exit. 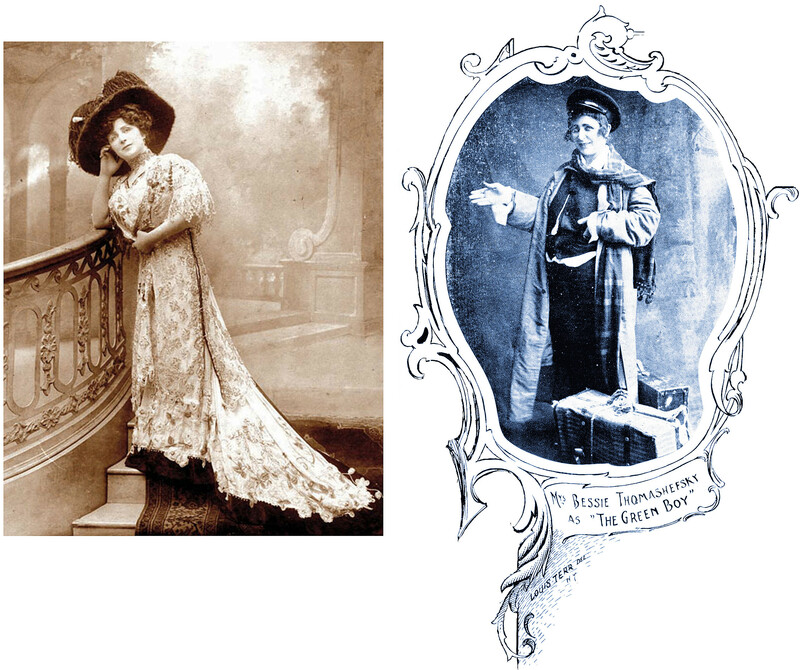 The United States welcomed a wave of immigrants from the 1880s to 1920s, and foreign accents were a huge part of everyday life in the U.S. well into the twentieth century. In big cities, that usually included the Yiddish accents of some of the millions of Ashkenazic Jews who arrived in those years. Network radio in the U.S. began in 1926. 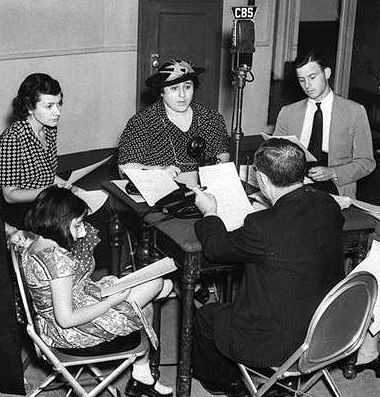 As a result, immigrant roles were a staple of early radio… sometimes played for laughs and sometimes portrayed as multidimensional human beings. Series creator and star Gertrude Berg (center) with cast members from the CBS run of THE GOLDBERGS, probably mid to late 1930s. Radio’s pioneer of well-developed Jewish immigrant characters was Gertrude Berg, who wrote and starred in The Goldbergs. This series, which ran from the 1920s to 1950s, premiered on NBC in 1929 as The Rise of the Goldbergs. It began as a weekly slice of life about Yiddish-accented Molly and Jake Goldberg and their American kids, Sammy and Rosalie. For most of the run, they lived in a Jewish immigrant neighborhood in the Bronx, and Jake worked in the garment industry. 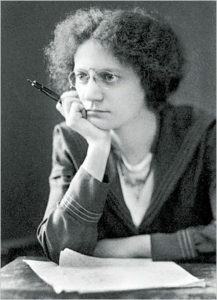 Molly Goldberg’s Uncle David (played by Yiddish theater star Menasha Skulnik) lived with the family. These few sentences tell us so much about what was happening then. On the one hand, some congregations were already seeking ways for women to participate more fully in prayer services (sometimes in segregated services, sometimes not). On the other hand, such services were so rare that even Mr. Cohen, who was very active in Jewish life in a major city, had never heard of such a thing. This got me thinking about the changing role of women in 19th-century Judaism. And that reminded me of letters in other 19th-century Jewish magazines, which talked about an early form of Italian bat mitzvah, similar to a kind that was already gaining traction in some German synagogues. So for this week’s main post (which will be online this Wednesday), I’ve translated some letters that appeared in Jewish magazines at the time, describing girls’ religious initiation ceremonies in Italy in the mid-1800s to early 1900s. These group ceremonies, held annually, combined elements of Jewish bar mitzvahs with some of the visual aspects of their Catholic neighbors’ First Holy Communion ceremonies. Stop by the blog this Wednesday. We don’t know what Ashkenazic shul Haim Cohen visited that night, but we do know which Sephardic synagogue he belonged to: the Great Spanish Temple of Bucharest (Kahal Kadosh Gadol), seen here in 1904. Built in the 1810s, it was in use until its destruction in a 1941 pogrom. Fifty vintage photos and illustrations enhance this booklet by political writer Anatole Leroy-Beaulieu. Originally published in French in 1905, it’s the text of a talk he gave shortly after his two-month visit to America. 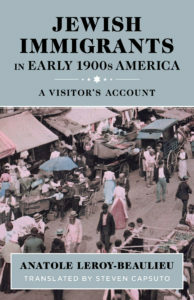 Leroy-Beaulieu toured Jewish communities in the northeastern U.S. in the spring of 1904 to see how the throngs of recent Jewish refugees were doing in the New World. He was so impressed with what he saw that, when he got home to France, he gave this detailed and celebratory talk to the Jewish Studies Association in Paris, kvelling about how Jewish refugees were thriving in “that land of wonders and liberty,” the United States. 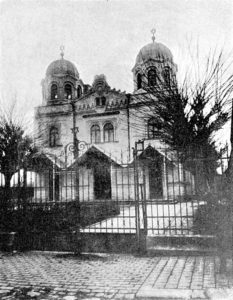 This blog will often feature personal narratives written by Jews in the late nineteenth and early twentieth century. They’re like guest bloggers from our past, telling us their stories.